cubic metre, up 11% on levels in 2016.
a year on year increase of 19%. 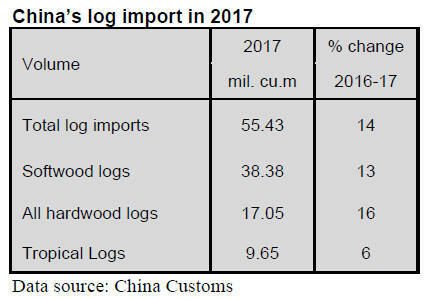 was recorded for log imports from Russia. and Russia rose 12% and 9% respectively in 2017. 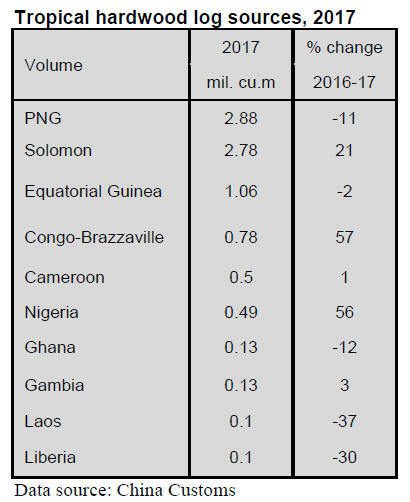 US$280 per cubic metre, up 11% on 2016. 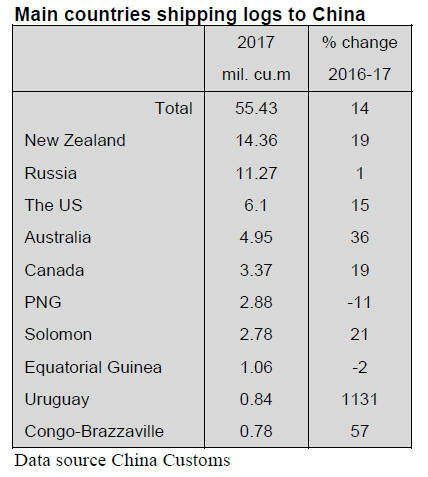 17% of the national total import volume. US$2.846 billion reflecting a 17% rise. 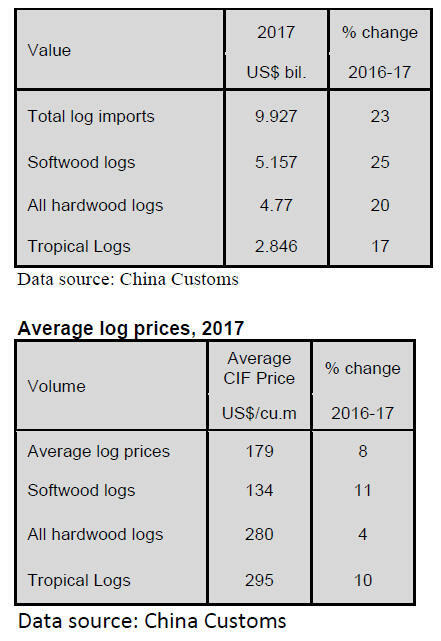 US$295 per cubic metre, a year on year rise of 10%. 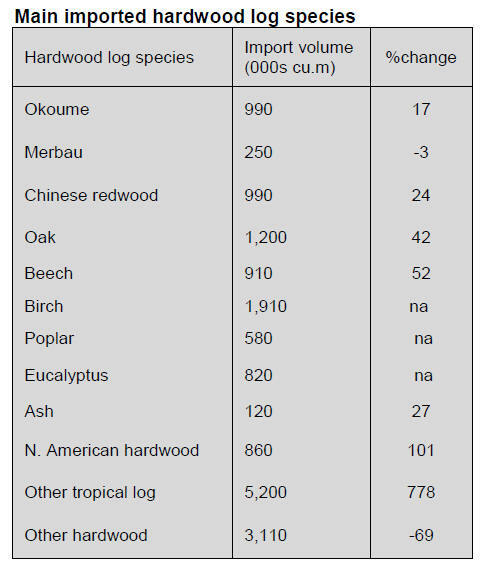 tropical log requirements in 2017. Ghana and PNG fell 12% and 11% respectively. imports, a year on year decline of 1 percentage points.